From routine exercises to rigorous contact sports, the ShoulderSphere® can help patients of virtually all ages strengthen their rotator cuff muscles safely and effectively. Since the ShoulderSphere® is the only available exercise device that can simultaneously enhance strength of all rotator cuff muscles in a multi-directional way, it can be of great use to both athletes and individuals who simply need an efficient alternative to elastic band exercises for strengthening rotator cuff muscles in the shoulder and maintaining physical fitness. 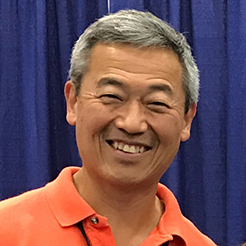 Below, you will find helpful guides on the proper way of using the ShoulderSphere® for optimal results, as well as detailed pdfs with information for those participating in specific sports or exercise regimens. Many of these files also include the type of ShoulderSphere® (F2 or A7) that may be best for certain routines. If you have questions, please don’t hesitate to contact us today! 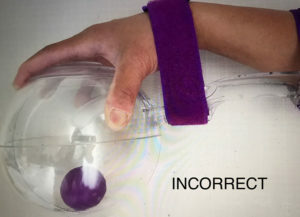 Correct position: ensure your wrist is relaxed and has complete contact against the plastic splint while being securely strapped in by the elastic strap. Relatively tight engagement is necessary in order to optimize the rotator cuff workout. Make sure there is no wiggle room between your wrist and the splint. This also avoids undue stress against the plastic splint, which may cause breakage. The easiest way of putting on the ShoulderSphere® is to place it on top of your hand — PALM facing UP – and gently cradle it, making sure that the strap is wrapped securely, particularly the part at wrist level. 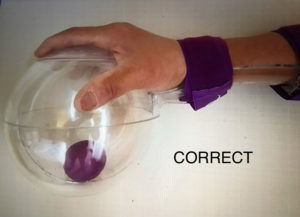 Incorrect position: note in the image below how the wrist is tense and flexed against the splint. There is a large gap between the splint and the wrist, which creates undue three-point contact stress against the plastic splint. This will break the plastic splint. There should be no wiggle room in-between the skin and the plastic splint. Incorrect posture prevents an optimal rotator cuff workout. Learn about arm care and shoulder injury prevention for young athletes. 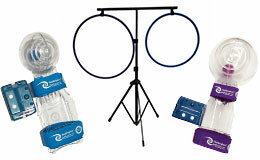 The ShoulderSphere® can be a great option for high school pitchers, catchers, and fielders. The following guide provides details on some of the best routines. In our guide for arm care and performance for adult pitchers, fielders, and catchers, you can find helpful workout and training routines designed to strengthen your RC and reduce the potential for injury. Uncover the shoulder strengthening guide for goalkeepers. These routines are great for goalkeepers playing Association Football (Soccer), Hockey, Handball, and Lacrosse. Read our arm care and shoulder strengthening program guide for swimmers. These specific routines will show you how you can use the ShoulderSphere® to execute efficient and effective swim stroke workouts. Take a look at our ShoulderSphere® guide for tennis players of virtually all ages and abilities. Learn how you can enhance stamina and strength while avoiding shoulder injury. The ShoulderSphere® can be helpful for waterskiers who would like to embrace an effective progressive strengthening program. View our guide to learn more. Learn the proper ways of using the ShoulderSphere® for throw move simulations in combination with swimming arm simulations. Take a look at our Water Polo guide by clicking the link below. Volleyball players can get a good start with the ShoulderSphere® by following our 10-week progressive RC strengthening program. Learn about some of the most effective simulations. Are you a boxer? If so, take a look at our 10-week build-up rotator cuff strengthening program for boxers. This can be a powerful tool to reduce the potential for injuries and work toward maximizing your accelerator muscles. The shoulders can get used and abused while golfing. Our strengthening program for golfers can help you use the ShoulderSphere® to its full advantage and help minimize the potential for shoulder injuries while enhancing power and control in both the “power” and “follow-through” arms. CrossFit® requires both speed and power. The ShoulderSphere® can help you work toward preventing RC injuries and strengthen those muscles. View our guide for Football players and see how you can reduce the chance of shoulder injury when throwing that perfect pass!